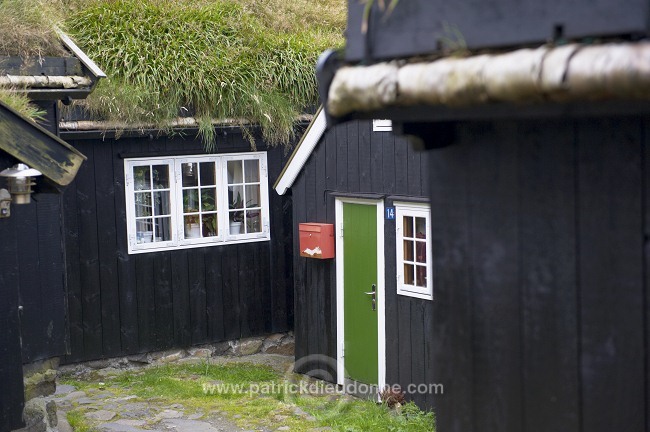 Description: Old houses and turf-roofed buildings in historic Tinganes district, Torshavn, Streymoy, Faroe Islands, Denmark, Europe, Europe - Maisons traditionnelles et a toit de gazon dans le quartier de Tinganes, au centre de la capitale Torshavn, Streymoy, iles Feroe, Danemark, Europe - Format: digital, Nikon D3 full-frame professional DSLR - 58 Mo tif files. - Format: digital, Nikon D3 full-frame professional DSLR - 58 Mo tif files. Caption Old houses and turf-roofed buildings in historic Tinganes district, Torshavn, Streymoy, Faroe Islands, Denmark, Europe, Europe - Maisons traditionnelles et a toit de gazon dans le quartier de Tinganes, au centre de la capitale Torshavn, Streymoy, iles Feroe, Danemark, Europe - Format: digital, Nikon D3 full-frame professional DSLR - 58 Mo tif files. - Format: digital, Nikon D3 full-frame professional DSLR - 58 Mo tif files.